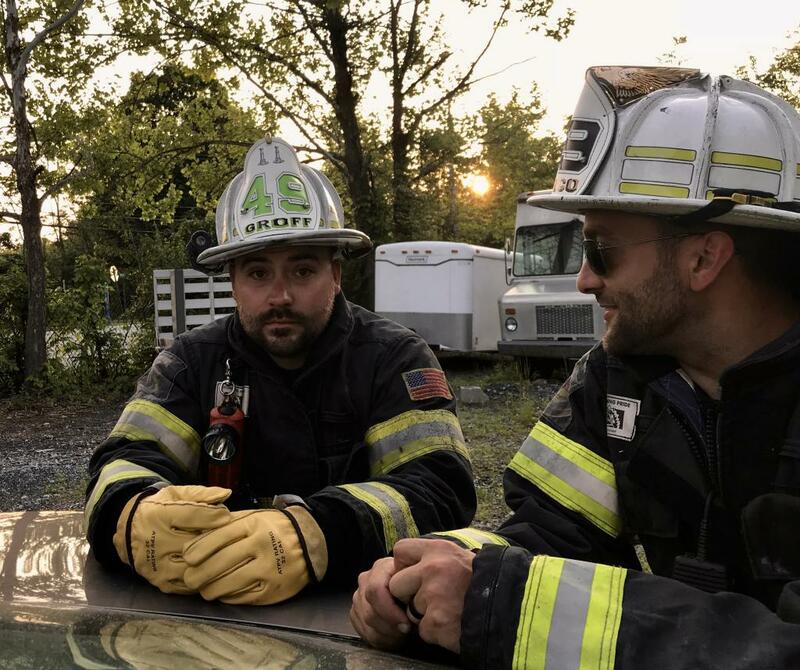 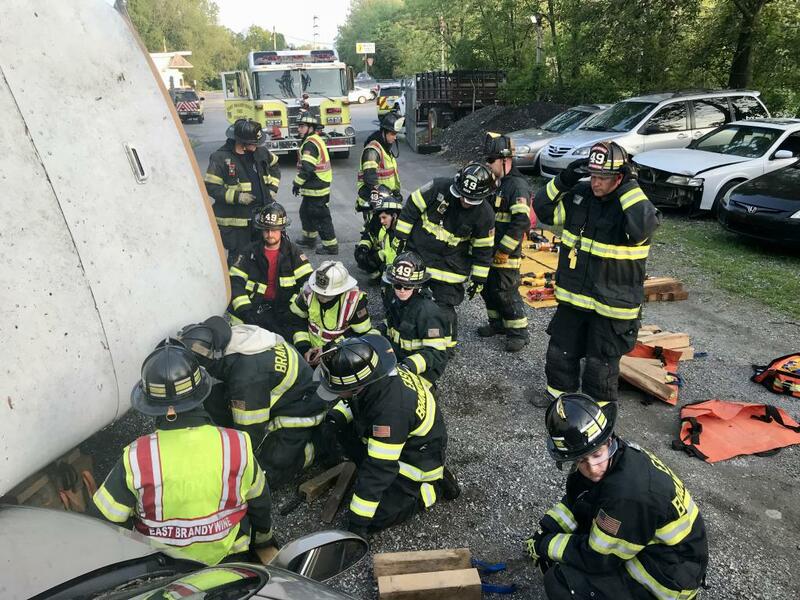 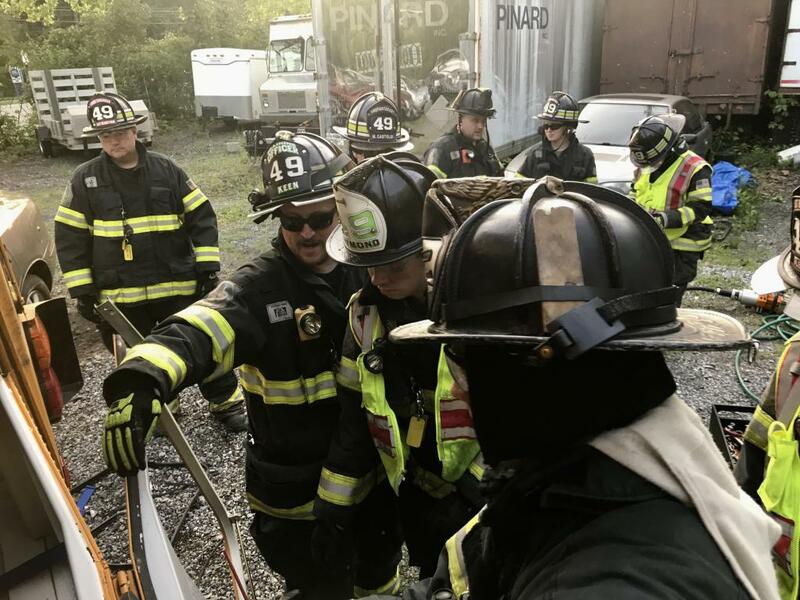 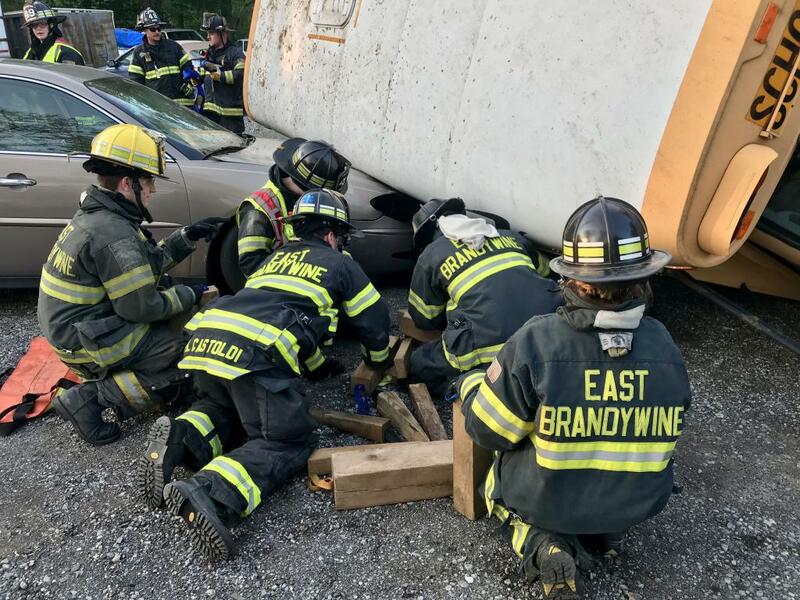 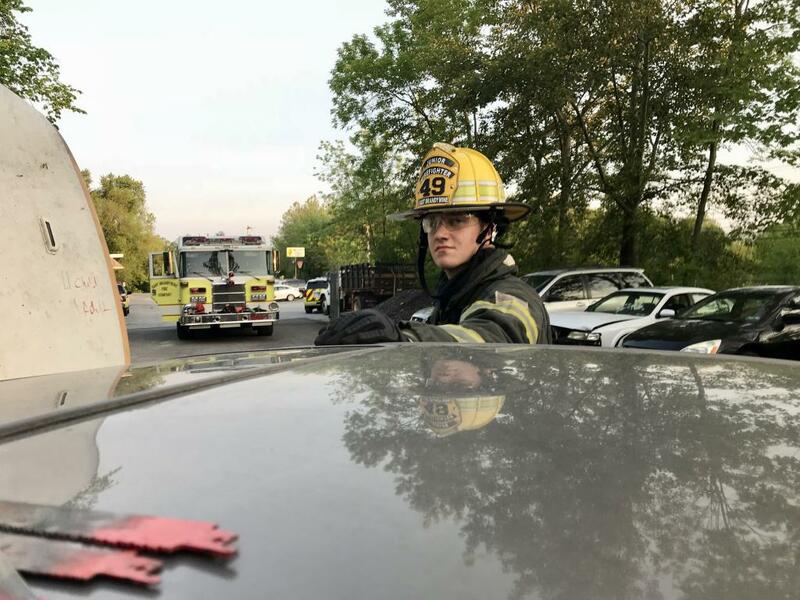 On Wednesday evening May 24th, East Brandywine Fire Company volunteers participated in vehicle rescue training. 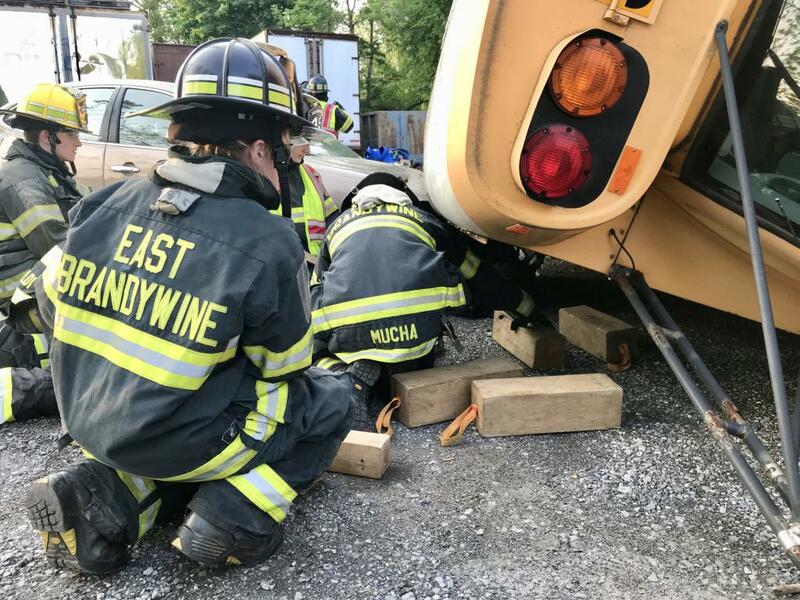 The training focused primarily on strategies and techniques used when a school bus is involved. 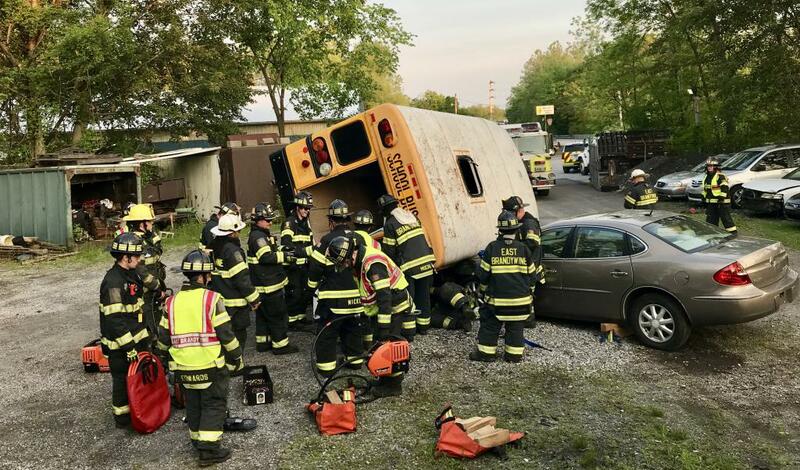 According to Training Officer Chris Keen "this is particularly timely training unfortunately, given the number of school bus accidents reported on by the media". 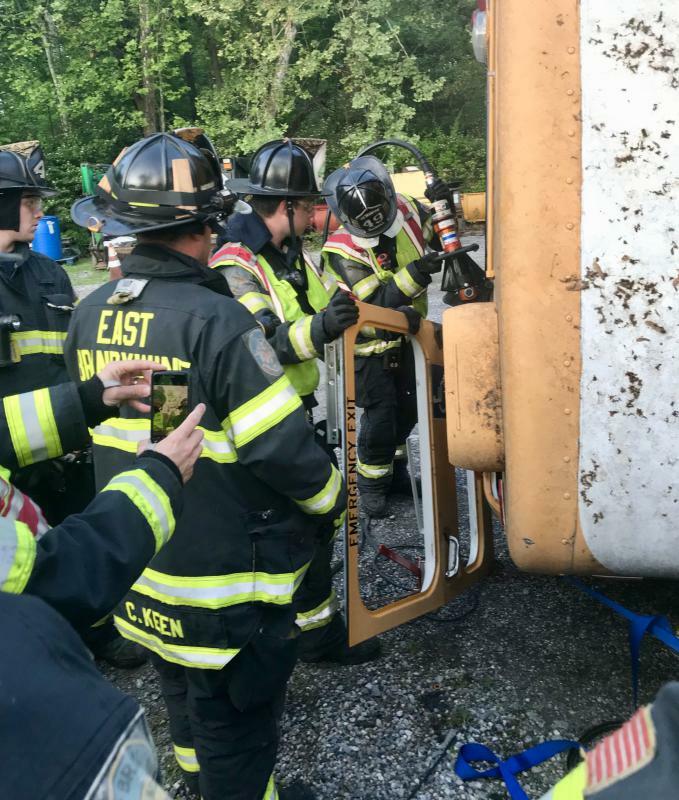 Keen added "our goal this evening was to provide our team an opportunity to become familiar with rescue techniques used when dealing with this type of vehicle". 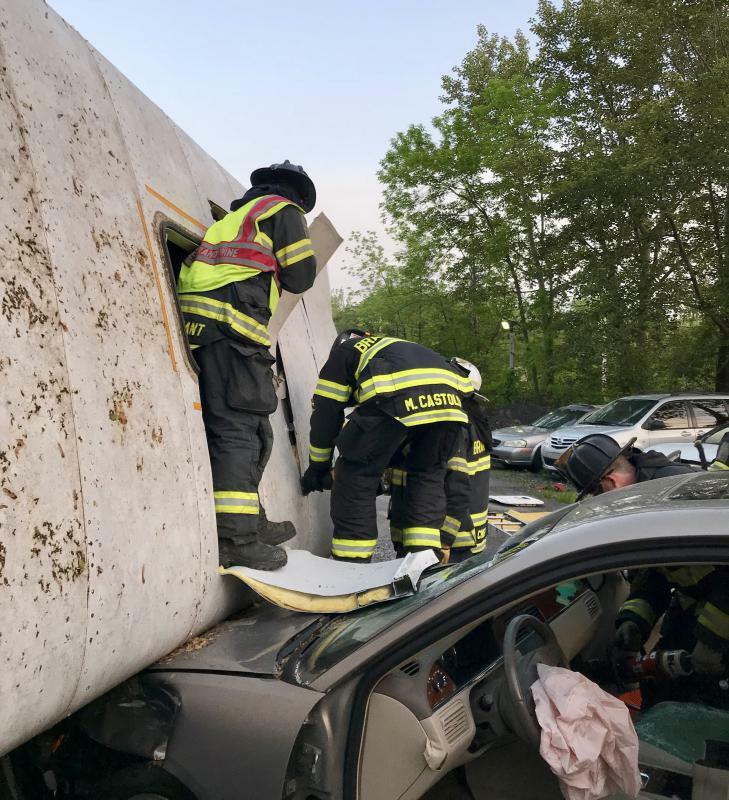 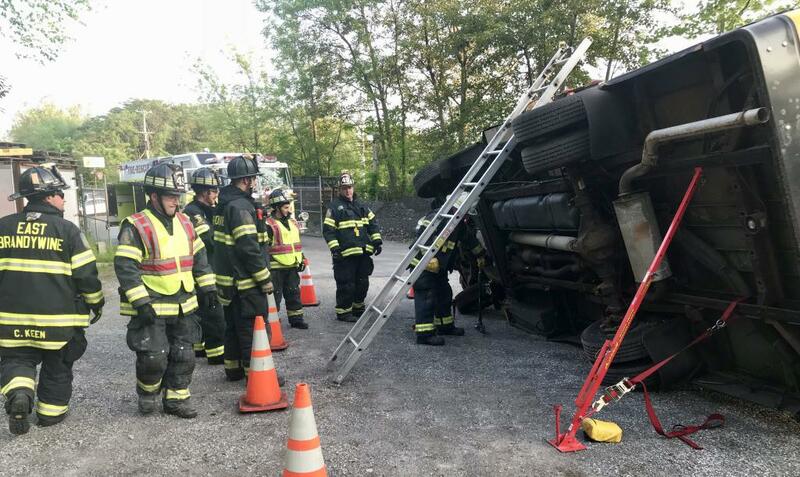 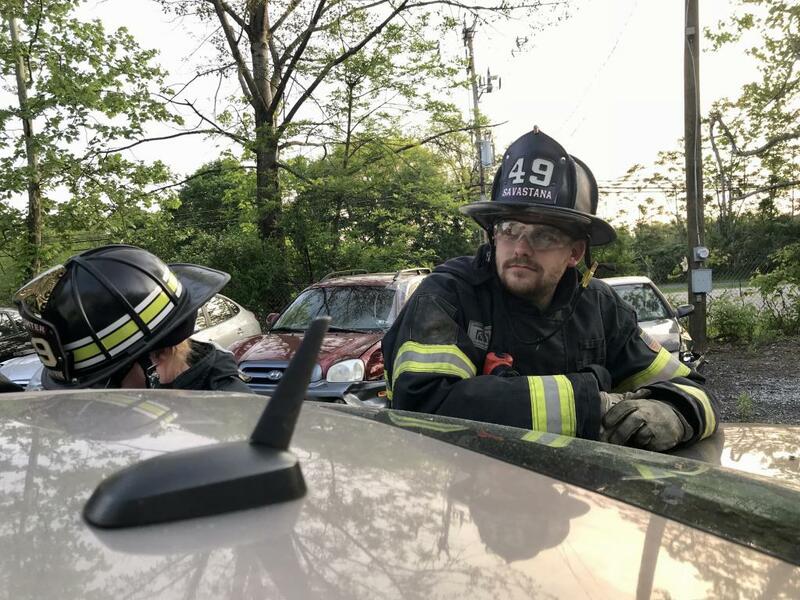 While volunteers trained on vehicle extrication, a team also took Ladder 49 to the carnival at Saint Peter's Catholic Church. 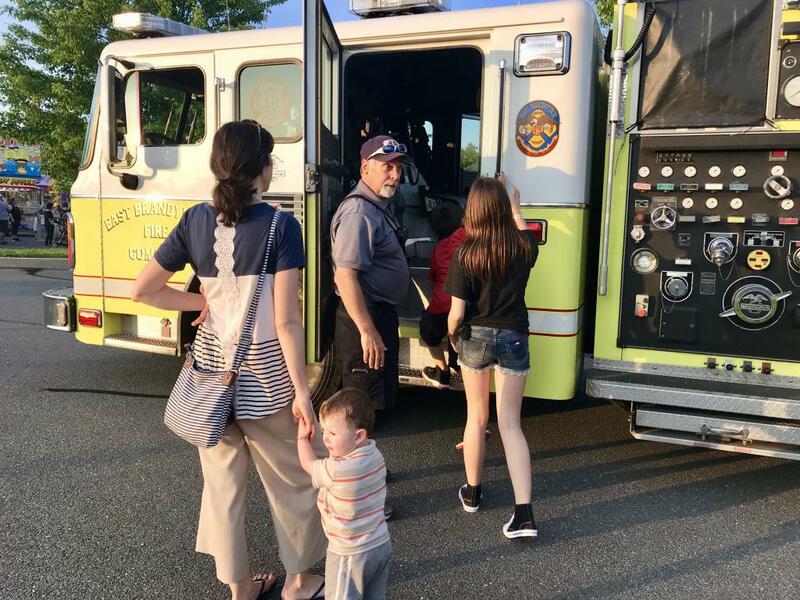 The organizers of the carnival requested the truck to allow kids to explore and learn about fire prevention. 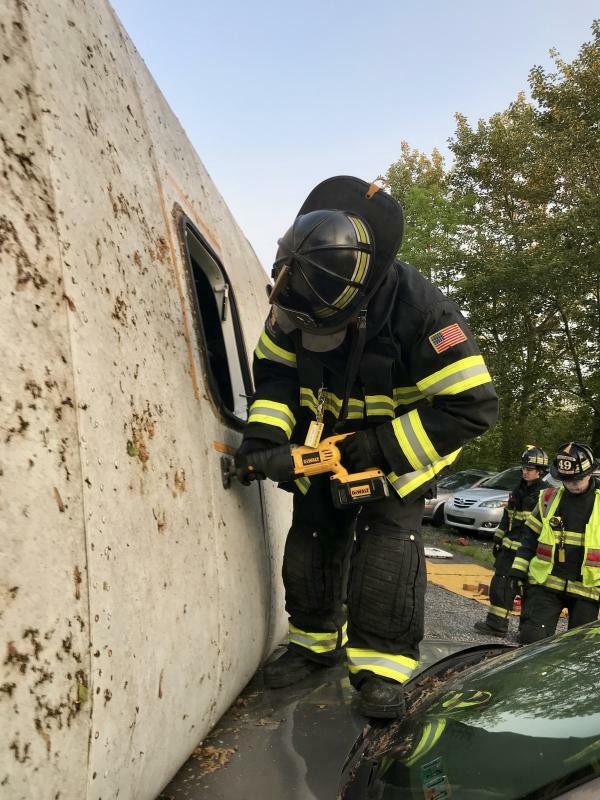 Special thanks to Miller's Automotive for providing the bus and the facility to train.